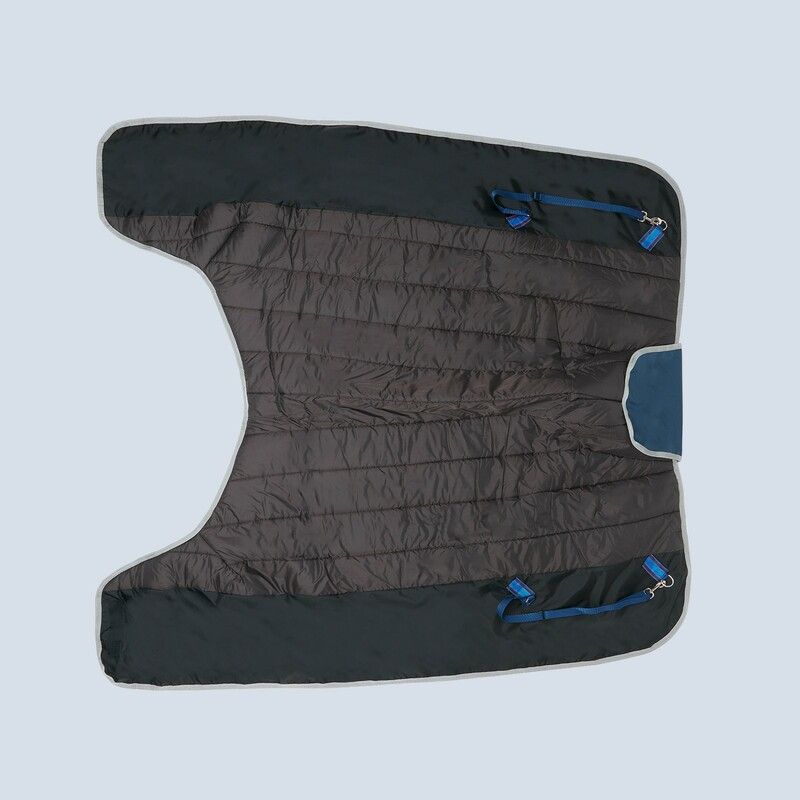 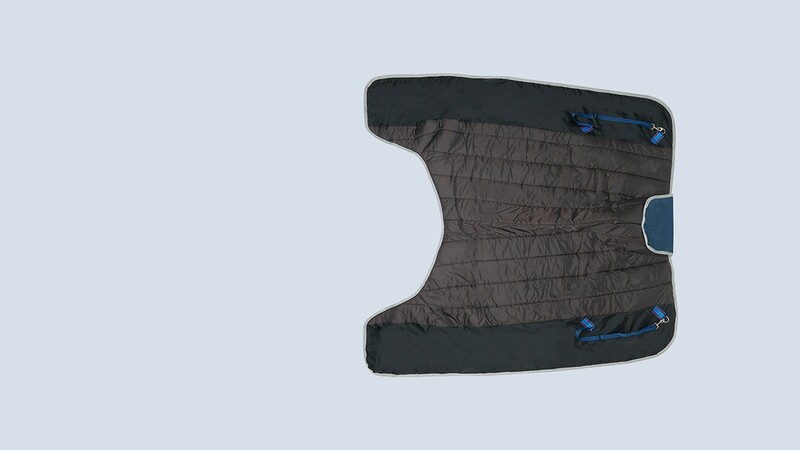 The Everglade turnout rug is made from a hardwearing Ballistic Nylon, with a breathable waterproof coating, its lined in a 6” vertically quilted black nylon micro fibre liner. 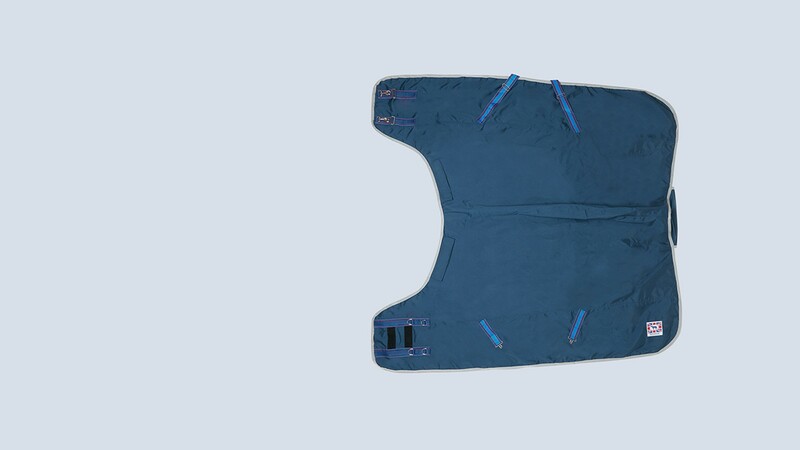 The rug does not have a back seam instead it has three darts, all the seams are fully sealed therefore the rug is completely waterproof. 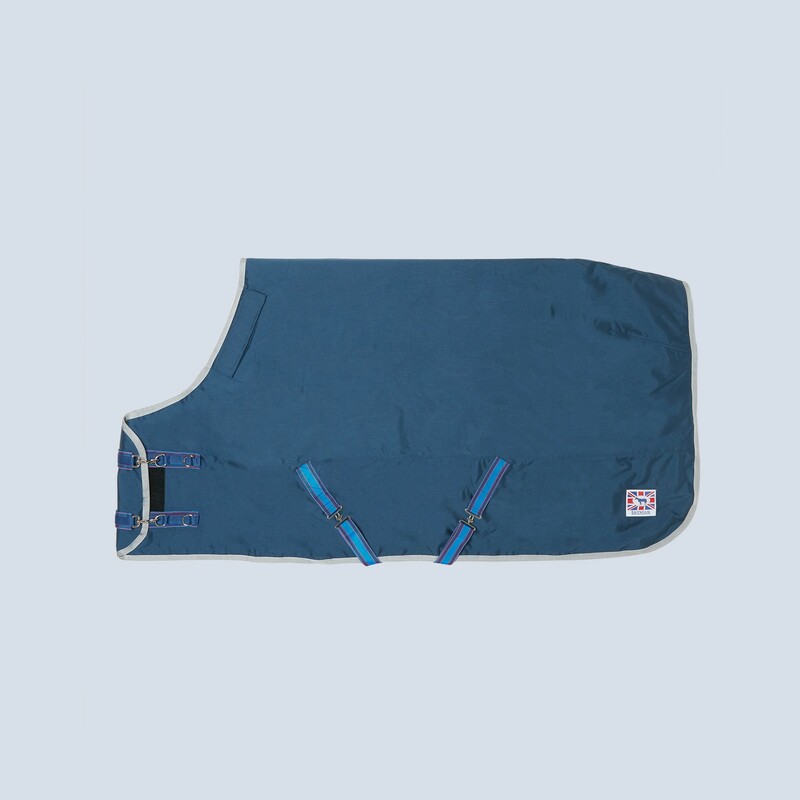 The rug fastens with adjustable metal trigger clips and D rings on the front straps, adjustable cross surcingle’s, detachable leg strap with trigger hooks, and a tail flap. 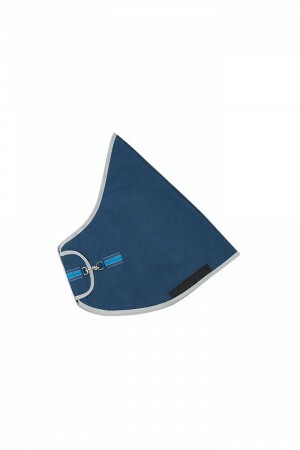 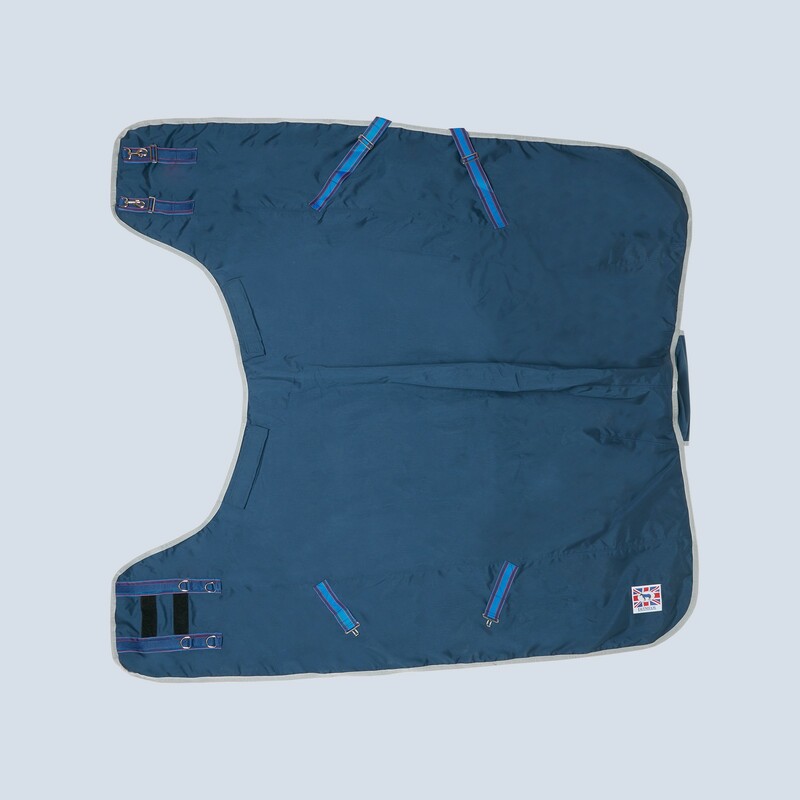 The rug has a Ballistic Nylon Velcro fastening to attach a Lavenham Turnout Neck Cover. 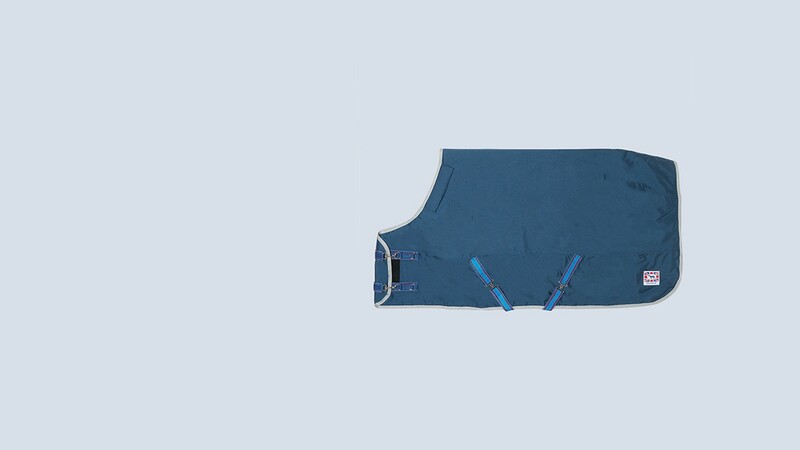 Available in Champion Navy.